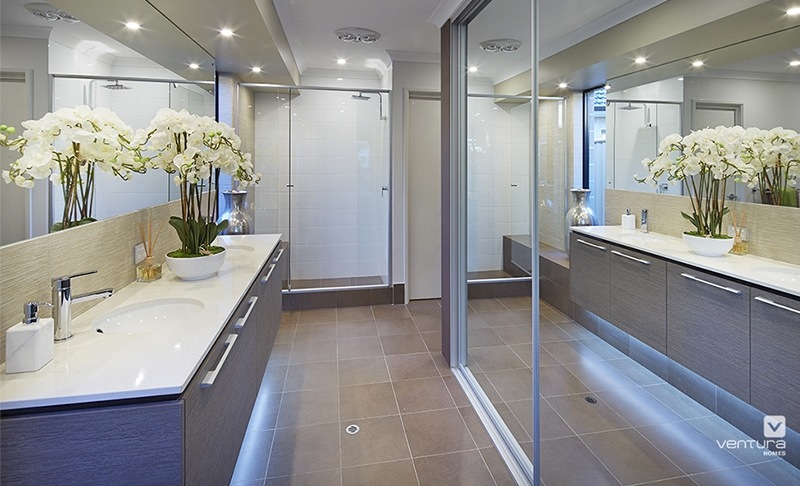 The Housing Industry Awards (HIA) is Australia’s peak residential building, renovation and development association. Every year, they recognise quality home builds from around Australia. Two kitchens by Ventura Homes impressed the judges this year and won awards in their respective categories. Key criteria to win an award is based on quality of workmanship, flow of movement and ergonomics. Appearance and innovation, design, flair lighting, movement, fixtures and fittings are also judged. Introducing The Colonnade, a sophisticated 4 bedroom home with 2 bathrooms and 1 powder room. The master suite sits at the front of the home with the ensuite showcasing country and industrial elements. 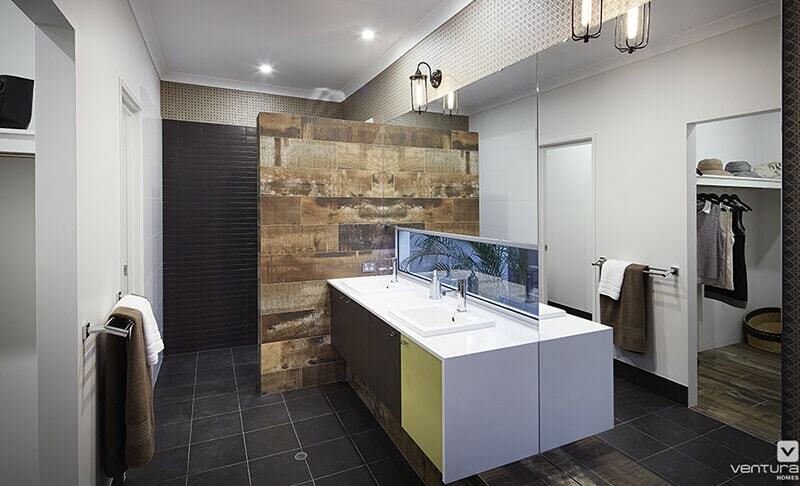 The timber laminate shower feature wall and exposed light bulbs add to a masculine-chic vibe. The window at the vanities brings natural light in. 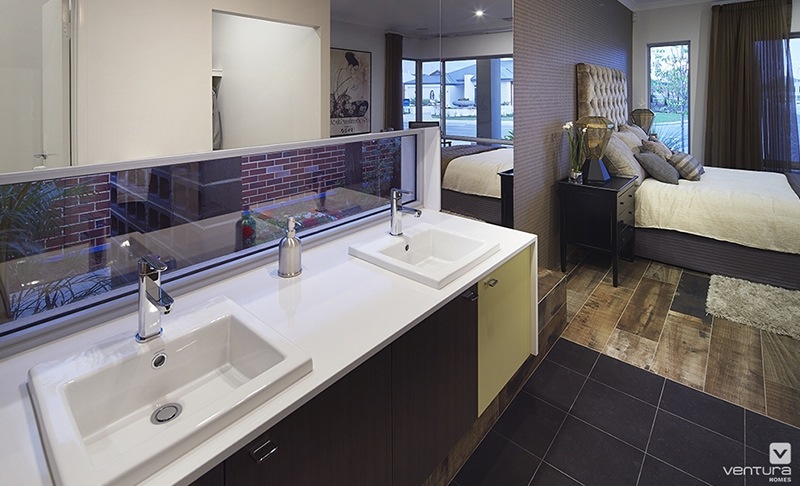 An effortless ensuite with style. Escape into the Kamala Resort, a 4 bedroom, 2 bathroom home with everything you need right here, laid out effortlessly for you. 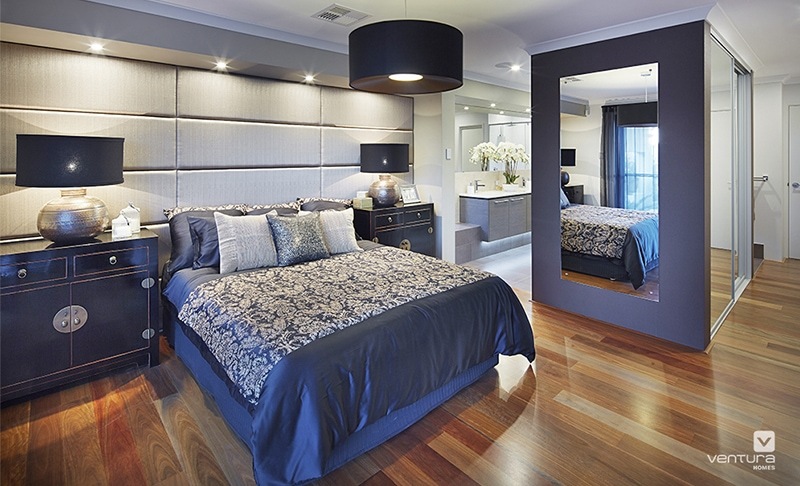 The master suite sits nestled in the rear corner and is cleverly designed and well put together. 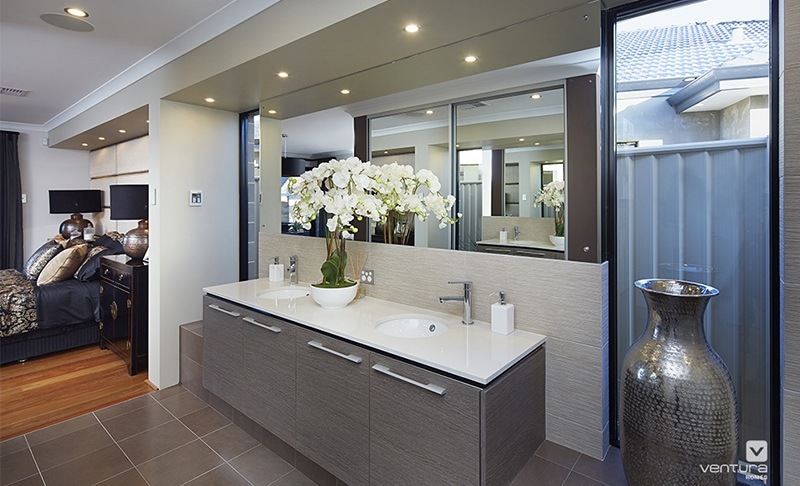 A gorgeous neutral colour scheme with plenty of space, this is a spacious ensuite with plenty of room for two. A two storey wonder, The Monterey V2 has all the bedrooms upstairs, with the master suite showing off a large walk-in robe and twin basin ensuite. This design is crisp, clean and minimalistic. 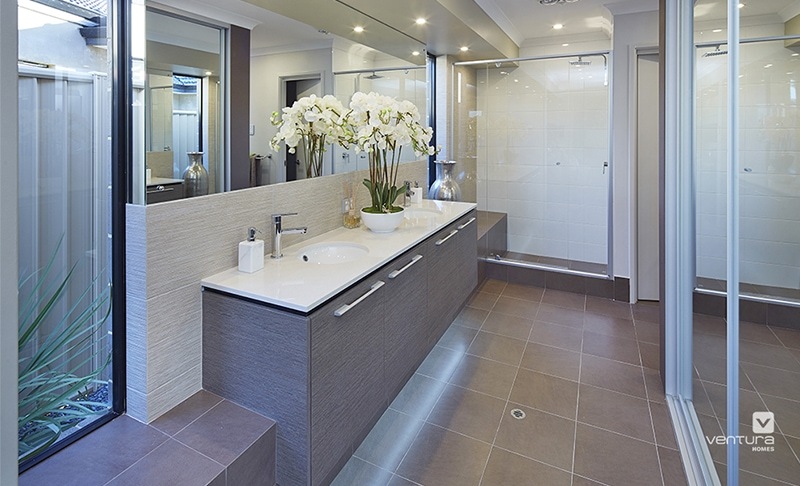 A very modern contemporary look.